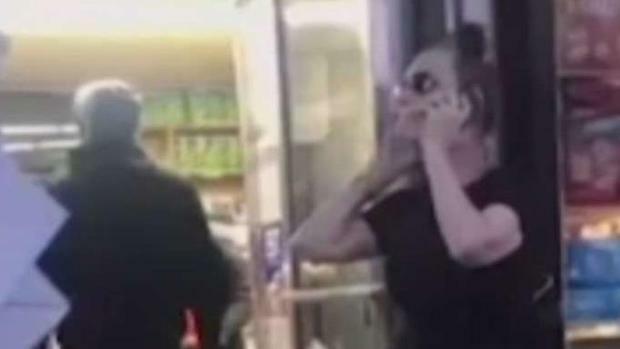 Fallout over the viral video of a white woman calling 911 on a black boy at a Brooklyn bodega continued Monday, with officials and neighbors gathering to show support for the boy and to call for an investigation into the woman's actions. Teresa Klein has apologized for accusing the 9-year-old boy of "sexually assaulting" her inside Sahari Deli Market in Flatbush last Wednesday. Surveillance video from inside the store showed the boy never touched the woman at all, and that his backpack may instead have brushed against her backside while he was walking past with his mother and younger sister. A white woman is facing outrage for calling police on a black boy, claiming he groped her. But outrage continues to flare in Flatbush, and Klein's apology falls flat for many who say the incident highlights race issues in the neighborhood and around the country. Video capturing the cries of the frightened boy and his sister as Klein threatened to call cops especially struck a nerve. At the rally Monday evening, the boy named Jeremiah appeared with his mother and his sister, tears streaming down his cheeks as he listened to officials recount the incident. Assemblywoman Rodneyse Bichotte spoke and invoked Emmett Till, the 14-year-old black boy lynched in Mississippi in 1955 after a white woman accused him of whistling at her. Bichotte said, "I cannot imagine how traumatized this young boy is. Innocent, coming home from school, and having to live this, having to live 1955." Others blamed gentrification for how the incident unfolded, and called for accountability of Klein. One woman who identified herself as a teacher and anti-racism activist said, "We put a bunch of people in a melting pot without a proper understanding or ways to relate to each other, we get anti-black rhetoric or behavior projected onto us and our children." Assemblywoman Rodneyse Bichotte speaks to a large crowd at the rally Monday. Gerard Cadet, vice president of local union 1199, which he says has 30,000 members living in Flatbush alone, added, "If you want to raise your children together with our children, you are welcome. If you think you are going to chastise our kids, you need to get the hell out." Finally, Jeremiah's mother spoke, describing how she'd decided to stop by the deli in Flatbush because "this is my time I have with my kids, the time that I struggle to balance home and work, this was one of the moments I have with them before I return back to work," she said. That's where "this lady proceeded to intimidate, harass and antagonize me and my children." "With that day, this fear was placed into my children's heart," she said. "Having to explain to your 9-year-old son what assault is, what sexual assault means, and having to go over the term with him what racism is. And having to witness and see he's crying all over again." The single mother said she's been astonished by the outpouring of support and positivity. "With that day, this fear was placed into my children's hearts," said Jeremiah's mother. "Having to explain to your 9-year-old son what assault is, what sexual assault means, and having to go over the term with him what racism is. And having to witness and see he's crying all over again." "I am telling you here from this moment on, don't just shy away from anything that's happening to anybody on the street," she implored the crowd. "I thank God for Jason who took that time out and said, 'Mom, I'm here and I will help you,'" referring to the man who filmed the video that went viral. To her son, she said, "It's OK to be afraid, but this right here was not your fault, Jeremiah. And I'm your mother and I'm going to do everything I can to make sure every other child doesn't have to experience what you did." Another boy at the rally said, "I feel very sad because if they could do that to one boy, they could do that to every little boy out there. I'm a little boy myself and if that happened to me, I'd be in tears exactly like that little boy." Brooklyn Borough President Eric Adams said he's asking the district attorney's office to investigate the viral video, saying this isn't the first time something like this has happened, and the community wants change. "We have received a rash of calls of people calling 911 for simple interaction wth men of color, and there is a problem here," he said. "We cannot ignore it." Adams wants the district attorney to investigate Klein and whether she crossed the line into criminality by calling 911. But a few in the community say the whole video seems like a misunderstanding. "If she was groped, even if it was a young kid, what's wrong with having a conversation about that?" said Rich Barrale.